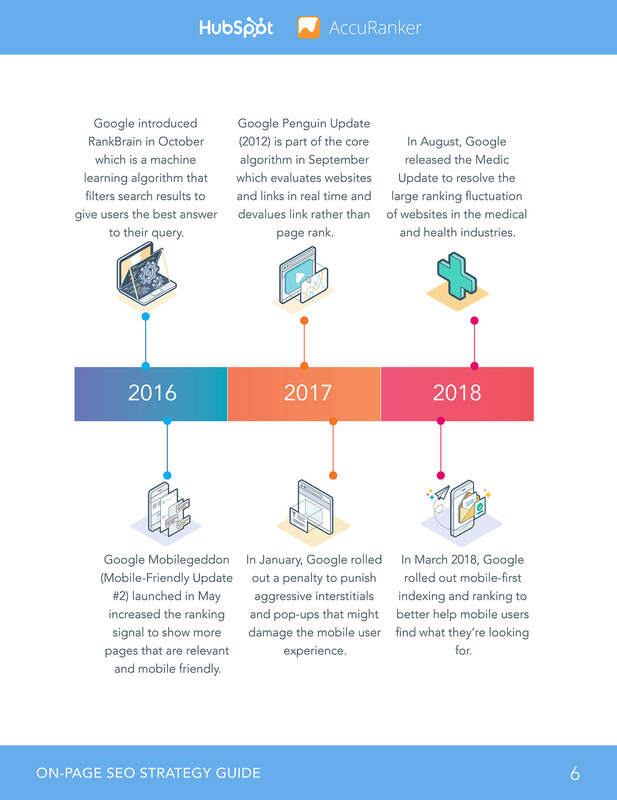 In the past few years alone, Google has rolled out many updates that have changed the way the Google ranks websites and provides information to its users. Since Google is constantly evolving, your on-page SEO must evolve too. 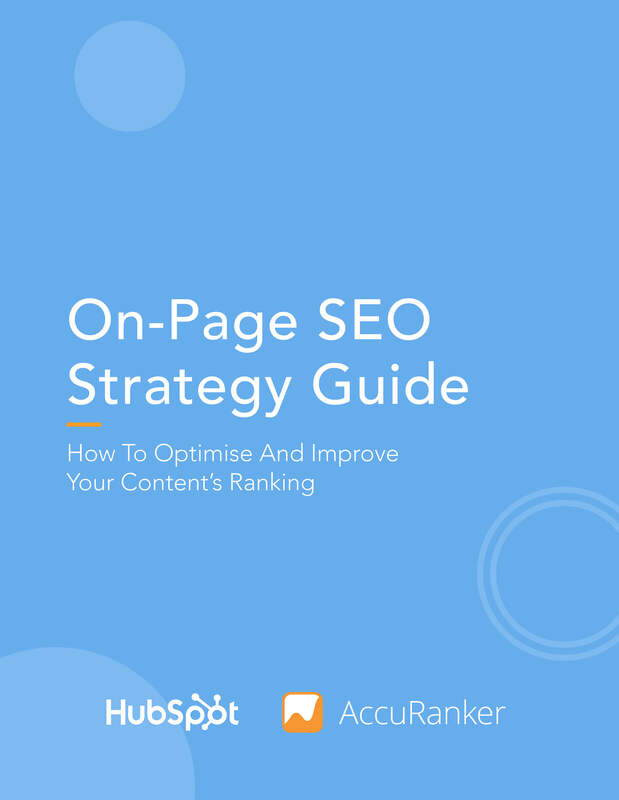 That's why HubSpot and AccuRanker have teamed up to bring you this On-Page SEO Strategy Guide to help you adapt to the changing SEO landscape. 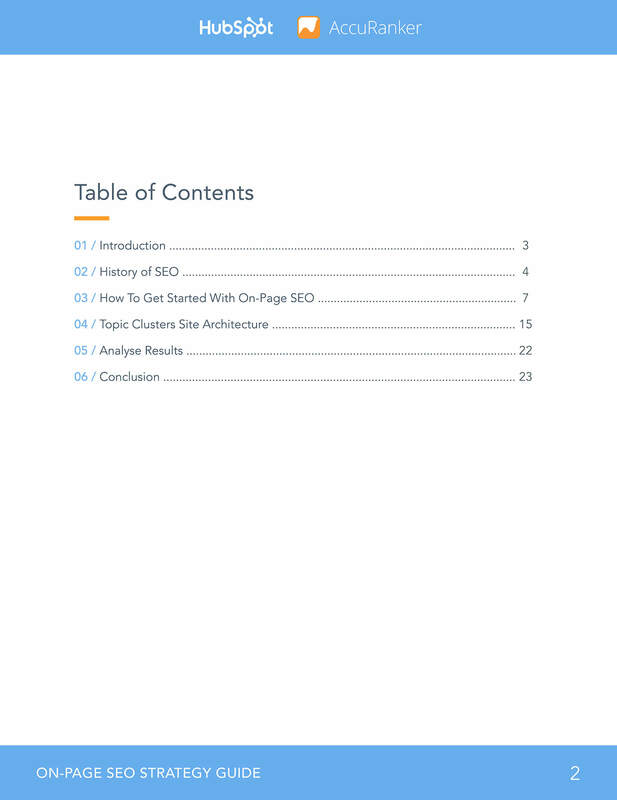 Inside you'll find tips on keyword research, pillar pages, and more! It is no longer enough to create great content to get visitors to your site. 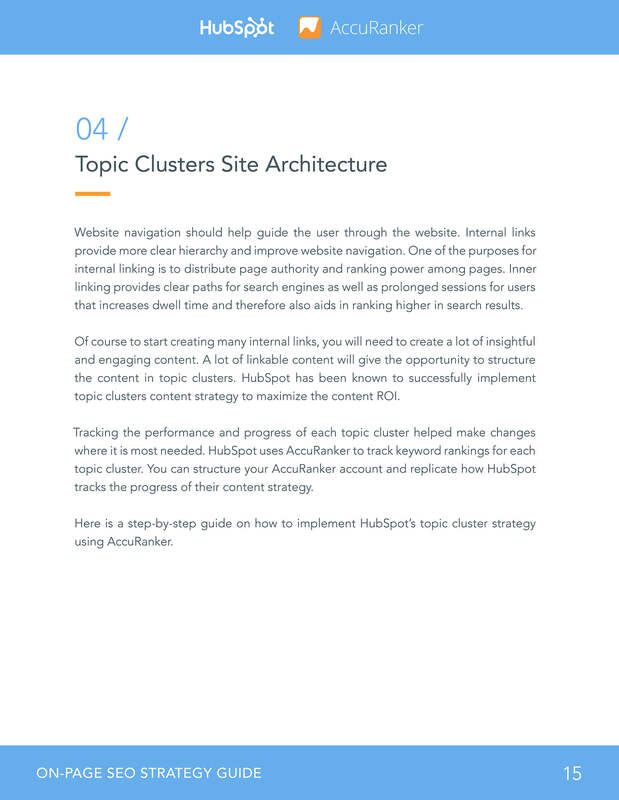 Your website architecture must be set up in a way that optimises the use of this content too. 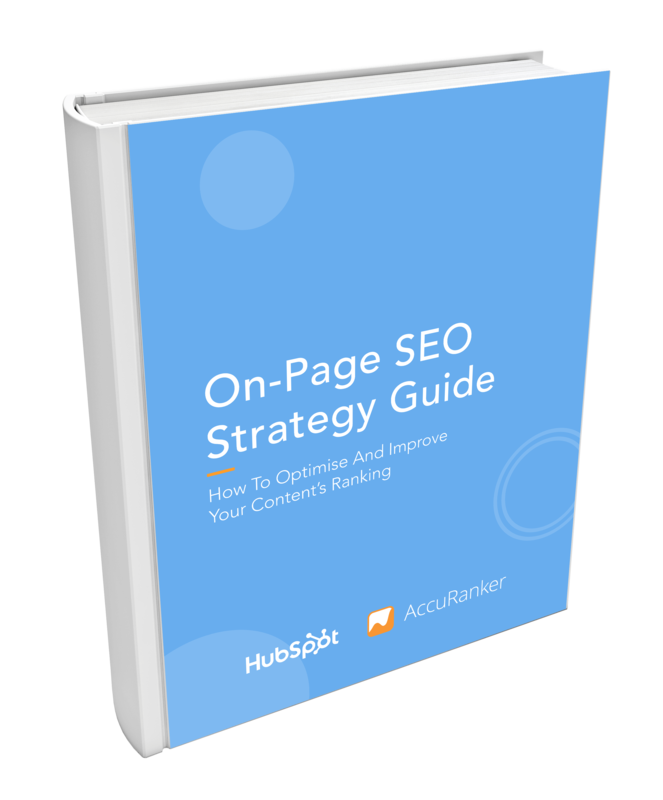 Use this guide to get started with a modern SEO strategy today.